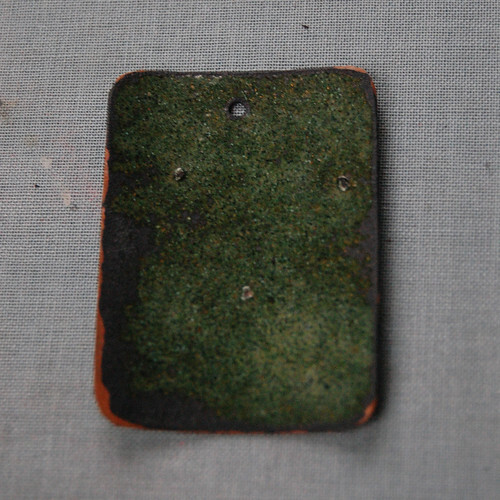 lesson #1: enamel pulls away from the edges and towards the centre during hot firings (iirc the kiln was set to 805•c). extra enamel should be sifted onto the outer edges. lesson #2: if the trivet touches the enamel it will show. a wider trivet that only supports the edges would have been a better choice. lesson #3: overfiring. the back isn’t smooth, but pitted, possibly the result of 3 x 3 minute firings. 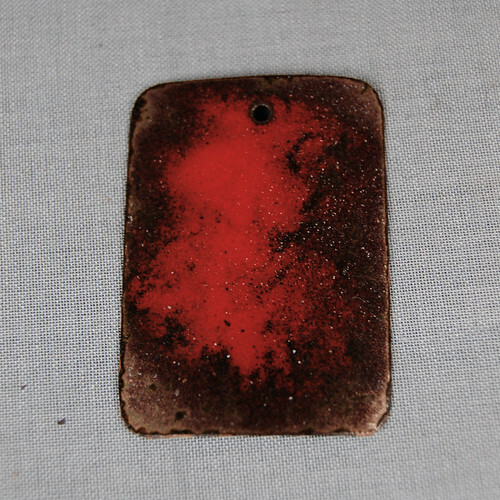 front: mexican red, two layers, each fired for approx. 3 minutes. lesson #5: contamination is obvious! i used a sieve that had previously been used with white enamel. the white spots are the result. lesson #6: inaccurately placed holes are also obvious. 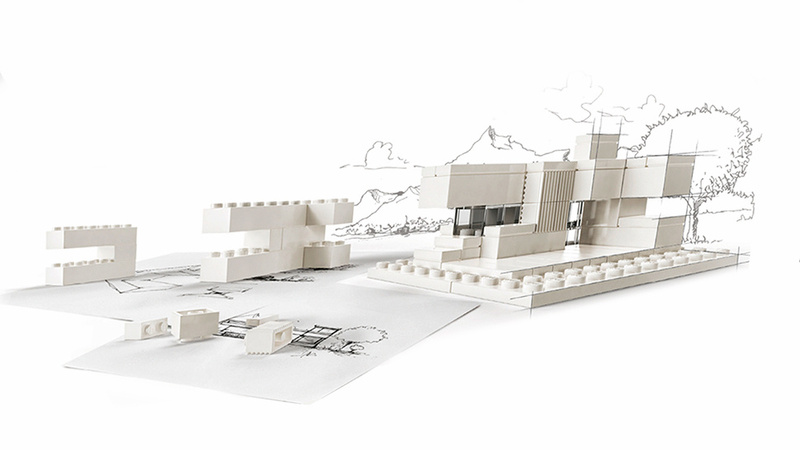 references: linda darty, the art of enamelling, 2004.
a recent discovery – the lego architecture studio – has got me thinking about scale. a handful of blocks could represent “an opera house or a cash register”, “an entry to a subway or a bathtub” – it’s up to the designer to assign the scale by adding details. i love the idea of creating tiny worlds in only a few inches of space and reminded of some favourite art works. taylor medlin’s miniature ice houses. and a local favourite, jane edden’s post secrets, the little people who live complicated lives in the bollards in the hayes, central cardiff.